2 Shiping (石屏异龙湖) has been a place of commerce for generations. Shiping (石屏异龙湖) has been a place of commerce for generations. 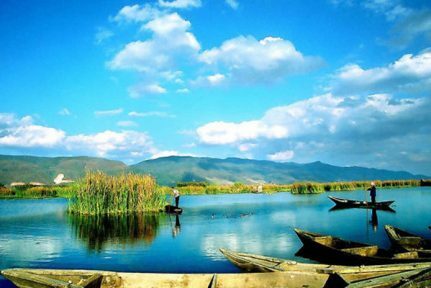 The Yilong lake with an area of 150 km2 is in Shiping County. 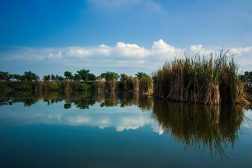 In summer, tourists have chances to enjoy a charming picture of sceneries: fragrant lotus, ferrying fisher boats, high pavilion, unique ancient city, beautiful mountain and ringing bells.